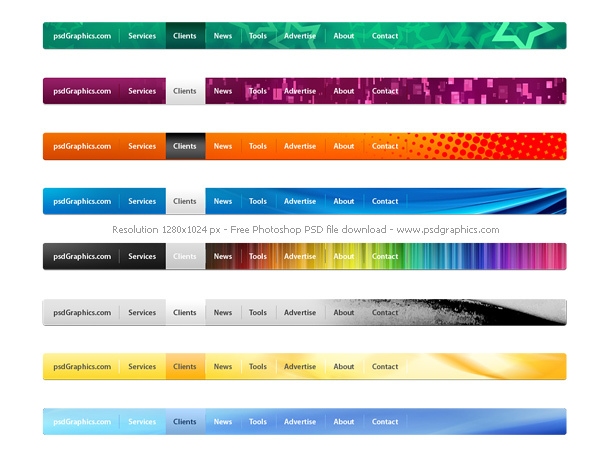 Colorful PSD website navigation menus set. Eight different menu styles, grunge, modern, simple etc. Created using my abstract backgrounds freebies. Use Photoshop to customize it, export as JPG or GIF and make a cool navigation for your website. 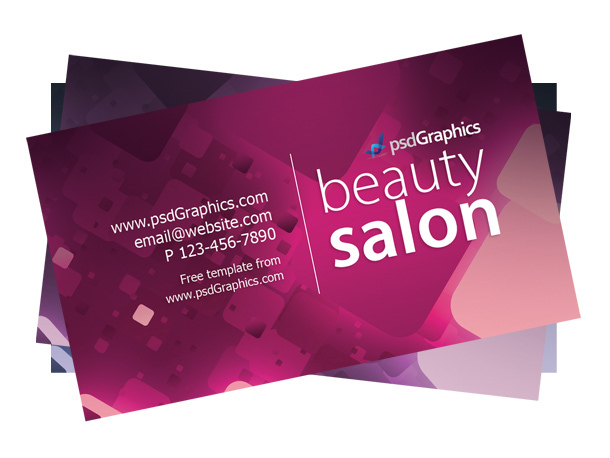 If you like these graphics, check also PSD navigation menu post with a similar psd menus. Cool looking font with sticky Photoshop style. 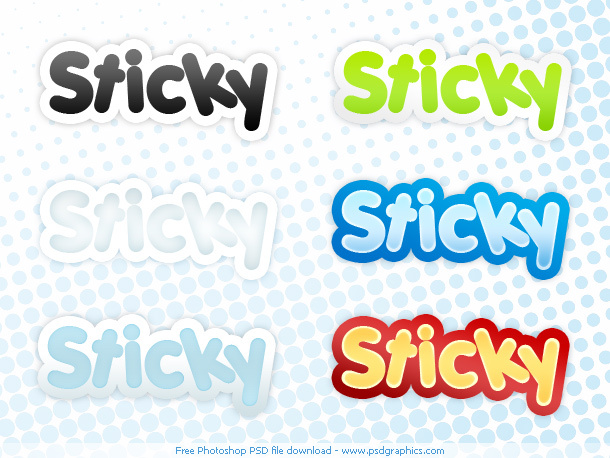 If you like it download PSD file and apply the styles to your text, quick and easy. The font used in my examples is a fee font named Porky’s (see link to download below). 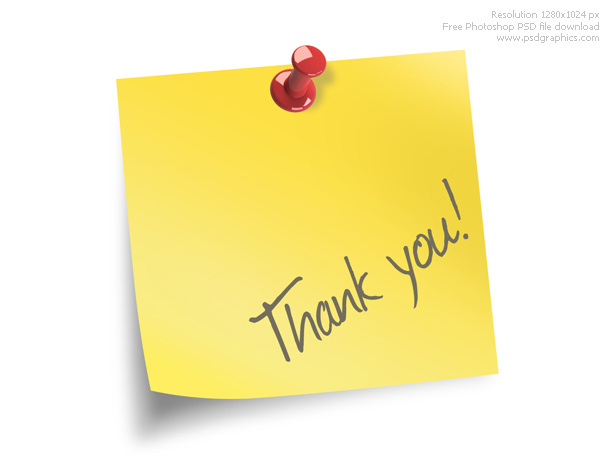 Yellow paper message, thank you note. 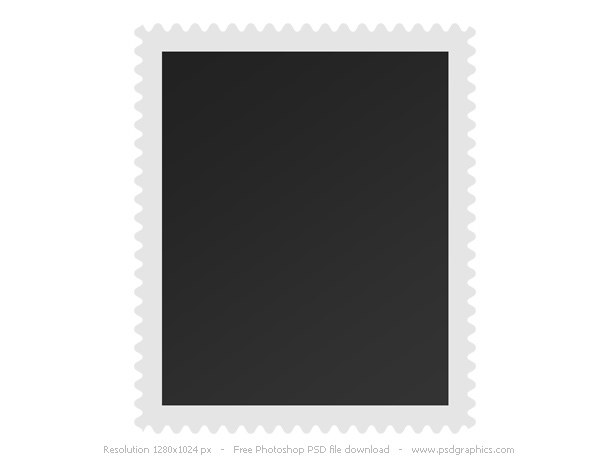 Editable Photoshop template – yellow paper with shadow on a bright background, with a red thumbtack. Download PSD file, put text and make your custom paper message. I used a handwritten font, the font called Journal, it’s a free one so you can find it at google search.